Click Here To See Flash #17 Comic Book! Click Here To See Hand Painted Color Cover Guide Over Top Of Original Art! 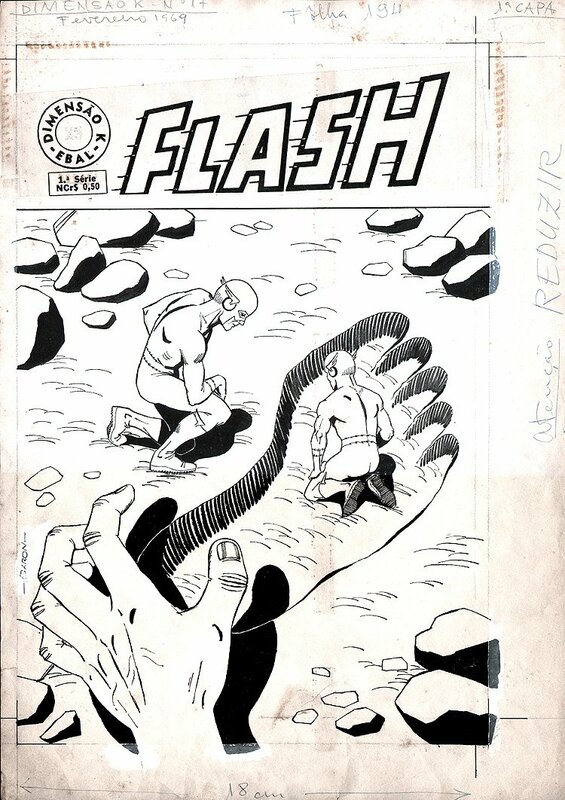 Check out this very cool Large Size Silver Age Flash #17 Cover which was penciled and inked by Brazilian Comic Artist named "BARON". This Cover was published in February 1969. 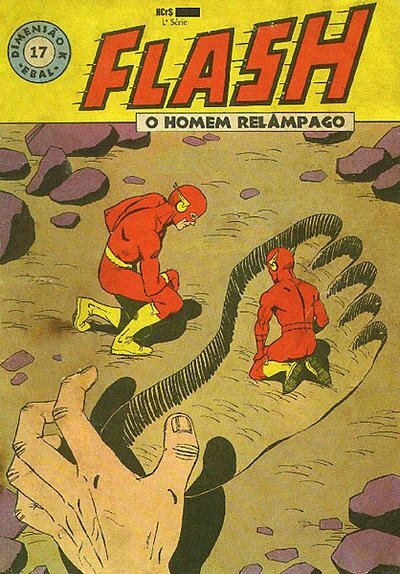 This nice cover is an alternate version to the classic Silver age cover and story to Flash #120, where Flash and Kid Flash first meet THE GOLDEN GIANTS, as they see a giant footprint in the ground, while a giant shadow and hand get ready to grab them both! Cover has an actual drawn image area which measures 11 by 16.25 inches on a much larger art board. The artwork is starting to yellow some from being over 45 years old but still looks good! ***** AS AN EXTRA BONUS..the ORIGINAL HAND PAINTED COLOR COVER ART ON 2 PIECES OF VELLUM, IS INCLUDED WITH THE SALE OF THIS ARTWORK! 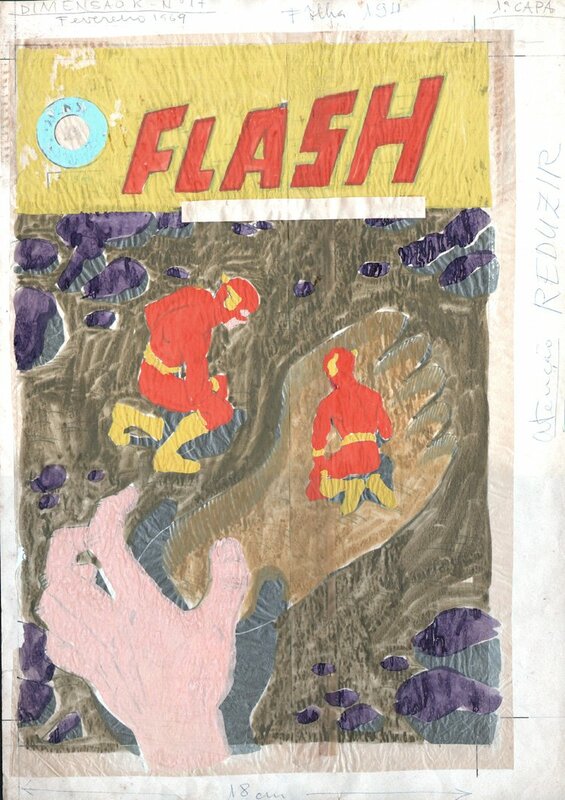 (Click the red link above to see the painted color art put over top of the black and white inked art) Just a great opportunity to own a PUBLISHED Silver Age FLASH cover for a FRACTION of what an American FLASH cover from 1969 would cost! Compare this nice cover art to the published comic book in the red link above, COOL!